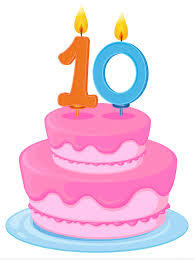 October 26th marked 10 years since I started this blog, 10 years since the moment I decided to plaster my thoughts all over the internet for anyone to read. Back then I had just become an American citizen and one of my first posts was about me voting for the first time in my life. Ironically enough, my first time vote happened during a presidential election in a country that wasn't where I was born...funny how life works! With the years, the frequency of my posts has decreased but the emotion I put into every piece I write has done just the opposite. Once someone told me that bloggers are "egotistical", this same person went on to say that whoever keeps a blog has nothing better to do than to presume about his/her life and while I admittedly took minor offense to that comment at the time it was made, I have now come to the conclusion that negativity comes in many shapes and if being a blogger makes me self-centered, so be it! I certainly hope, however, that anyone who reads my blog knows that being presumptuous is the last thing on my mind whenever I post something. My intention has been and always will be to pour my heart out in hopes of making this journey called life more enjoyable and empathetic. So today I celebrate this blog, all of its followers and the blessing of persistency that has allowed me to keep it up for 10 whole years! Thank you to everyone who has ever stopped by this corner and anyone who has left comments or sent messages throughout these 10 years! 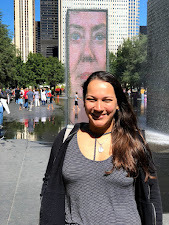 A few months ago I wrote this post regarding Internet Safety for children, where I exposed some of my concerns regarding the dangers of the internet and shared some useful guides on how to protect our kids from online predators. 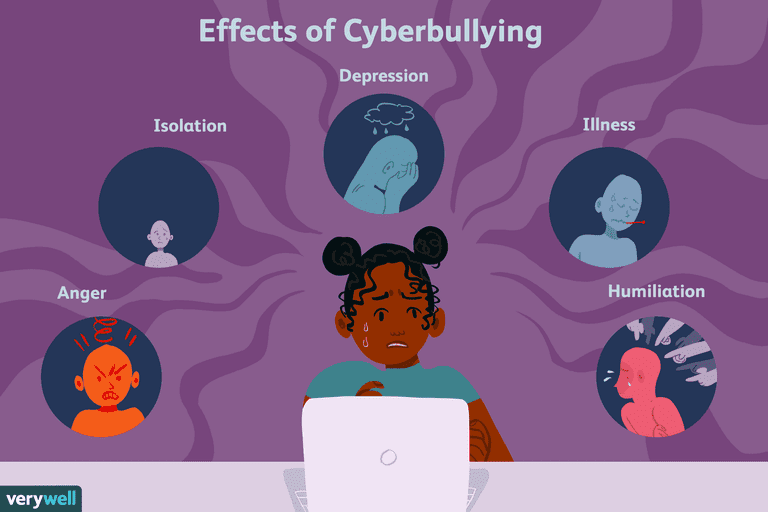 Cyberbullying is one of the most prevalent issues when it comes to children and the internet because it is so easy for someone to be a "keyboard warrior" and take advantage of the person on the other end. 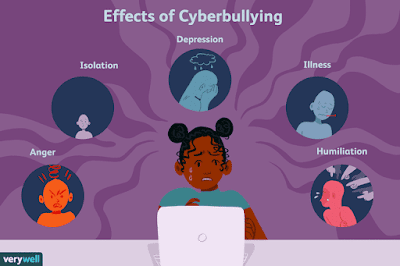 Every day more and more children are suffering from depression and even committing suicide because of issues with cyberbullying and other internet related issues. Online predators are also a real thing and they prey on children of all ages; that's why I urge every parent I know to read the following resources which I have found incredibly helpful when it comes to helping my children navigate the online world. Whether your child has a phone (or any other device) or not, be aware that every child that ever comes in contact with the internet is at risk and there will never be enough vigilance to fully protect them from all the risks associated with it. This post is a continuation of my comprehensive review of our latest Disney Cruise. Part 1 can be found here if you care to read. * The Staterooms: We stayed in an ocean view family suite, big enough for the 5 of us and pretty spacious by cruise ship standards. The room had a queen size bed, a bunk and a wall bed and it fit all of us pretty comfortably. There was a large porthole window (pictured below) and a double sink bathroom divided into a shower-sink and a toilet-sink combos; this was genius because it allowed for more comfort as well. Our stateroom was located on deck 7. It was perfect. * Castaway Cay: Our cruise had two stops, one at Nassau, Bahamas (which I won't even address) and another one at Disney's private island "Castaway Cay". This private island is located in the Bahamas and is basically paradise; it is such a beautiful place with crystalline blue waters and tons to do. We had such a great time at this place and the girls even went snorkeling. The beach experience is much more enjoyable when it's done Disney style; there are tons of beach chairs and umbrellas, bars, restaurants, characters, sailboats, water slides... you name, it's there. I would probably make this the only stop for a 3 day cruise and make it longer as well. Such a great time! * The Overall Experience: If you're a Disney lover, this is definitely the cruise for you. It is slightly more expensive than other cruises (we paid $3000 for a family of 5) but it is so worth it. The customer service is beyond compare and (almost) everything is done right. The overall experience is incredible and we will be sure to cruise with them again! I am so thankful for a great time and feel so blessed to be able to take my kids on these fun vacations. What wasn't "perfect" about the Disney cruise? Halloween Activities were poorly planned: There was a trick or treat event through the ship and it was very poorly organized. There were tons of kids asking for candy and only a few stations with very few staff passing it out. The activity was scheduled to last 30 minutes and it was so chaotic that people were starting to become hostile. I would suggest either scrapping the activity all together or having at least 5 times as much candy. The constant "up selling" was a buzz killer: I get it, Disney is in the business of making money but the up selling throughout the cruise is a bit extreme. I feel like people pay enough money to go on these cruises so I don't see the need to constantly pressure people to spend even more. Some Youth Counselors are not cut out for that job: I had a couple of run ins with youth counselors who didn't seem to like kids. They had issues with the fact that Oliver needed to be escorted to the bathroom and many seemed annoyed at the amount of children at the clubs. I believe that type of job should go to people who genuinely love kids and crowds. Family Karaoke Night was a bomb: Some of the members in our party attempted to sing at karaoke night only to be told there was not enough time. The event is scheduled to last 30 minutes but it is not properly organized; they let everyone sign up to sing without regards for time and when the 30 minutes run out... too bad! I think there should be someone "policing" the sign ups a bit better so that everyone gets a chance or at least is told that they likely won't have time to sing their song. I sat through excruciatingly painful singing voices (some sang more than one song) only to be disappointed when members of my party didn't get to have a turn. Terrible planning. Pool deck floors: the pool deck floors are horrible quality; they got scorchingly hot and were extremely slippery, both which are safety hazards. I know there are paving materials that are much better for this type of setting; ones that don't get hot and are anti slippery. I think Disney ships should feature better pool decks to avoid people slipping and falling or getting their feet burned. Safety protocol for some events is not up to code: speaking of safety.. one of the members of our party was a firefighter and she couldn't help but notice the fact that during some events like the firework show, there were several code violations such as emergency exits being blocked and not enough entry/exit points for such large crowds. Considering the Disney Dream has a capacity for 4000 people, these things should be looked at seriously to avoid any tragedies. With all that said, we still enjoyed cruising with Disney and will most definitely do it again. Reserving your cruise 12-18 months ahead of time will represent significant savings and will also make planning much easier. I cannot wait to do it again! To celebrate Oliver's 3rd birthday, we recently went on our 3rd Disney Cruise; it was a short 3-day cruise out of Port Canaveral on the Disney Dream ship and everyone had such an amazing time. It's not secret that I am a huge Disney fan and I thoroughly enjoy everything they make and this cruise wasn't the exception but in an effort to be an objective reviewer I will point out details about different categories of our trip. * The Food: During the day, there is a huge buffet area that opens until 3pm as well as several quick food service areas that remain open all day. The food variety is great and the quality is mostly good. For dinner, there is a restaurant rotation assigned to each guest and noted on the "Key to the World" card; it consists of a combination of letters where each one represents the first letter of the name of the restaurant you are scheduled to have dinner each night. You are to follow that rotation throughout the cruise to ensure you're dining at the right place. There are two seating times (6:15pm and 8:15pm), which you get to choose when making your reservation. Dinner is always the best part of the day because the food is incredible; with endless options and a very tasty menu you are bound to find your favorite meal. I enjoyed incredible steaks, fish and a variety of my favorite foods and dessert. Yum! * Entertainment: Disney is in the business of entertainment and they sure know how to do it well. On this cruise there were several featured shows ("Beauty and the Beast" and "Believe" were the main ones) as well as endless character greetings, dance parties and random music acts throughout. There are also tons of activities each day, all of which can be easily found on your daily "Cruise Navigator" page or even on the Disney Cruise app (will talk more about the app later). "Pirates in the Caribbean" night is a big one on the cruise; everyone gets Mickey pirate bandanas and dresses up as pirates (this is totally optional). Then there is a pirate show on the main pool deck and fireworks at sea, which make for great experience for everyone on board. There is never a dull moment on a Disney Cruise.